Australia’s major carriers Jetstar, Regional Express, Qantas and Virgin Australia have pledged to support farmers battling the drought. Regional Express (Rex) said on August 9 it had set aside $1 million for a drought relief fund, with the airline offering to donate $4 in travel on the airline for every $1 raised by community groups. “Small businesses that are providing assistance to victims of the drought will also be eligible,” Rex said in a statement. Rex deputy chairman John Sharp said the airline intended to extend its assistance beyond the current financial year should the drought continue and as long as it continued to trade profitably. “Rex’s heart is in the country, and our thoughts and prayers go out to all residents of communities in regional Australia who are facing unimaginable hardship as they struggle to make ends meet and keep their crop and stock alive,” Sharp said. Qantas has partnered with charity Rural Aid and announced an immediate $1 million cash donation to help fund purchases of hay, water, groceries and mental health counsellors for farming communities. It hopes to raise a further $1 million through donations from customers on Jetstar and Qantas alongside other appeal initiatives such as a charity flight from Sydney to Longreach and Sydney to Tamworth in October, collections in airport lounges and the ability to donate frequent flyer points to various charities. Qantas planned to match these fundraising efforts to eventually offer a total donation of $3 million. “Qantas started in the outback. Many of our staff live there and we have a lot of farming families who supply everything from beef to broccoli that we serve customers,” Qantas chief executive Alan Joyce said in a statement on August 10. Qantas cabin crew member Zanthe Atkinson, whose husband is a farmer near Tamworth, said the pair was hand feeding stock to keep them alive. “Most of the farming families have no choice but to rely solely on farm income and for a lot of them there hasn’t been any income for years,” Atkinson said. Virgin Australia said it would support the Australian Red Cross “Help Aussie Farmers” appeal, with passengers on its domestic flights and in its airport lounges able to donate to the initiative. The airline was also collecting donations from its 10,000-strong workforce. Virgin Australia chief executive John Borghetti said getting behind the ‘Help Aussie Farmers’ was a great way to support farming families dealing with the impact of the severe drought. 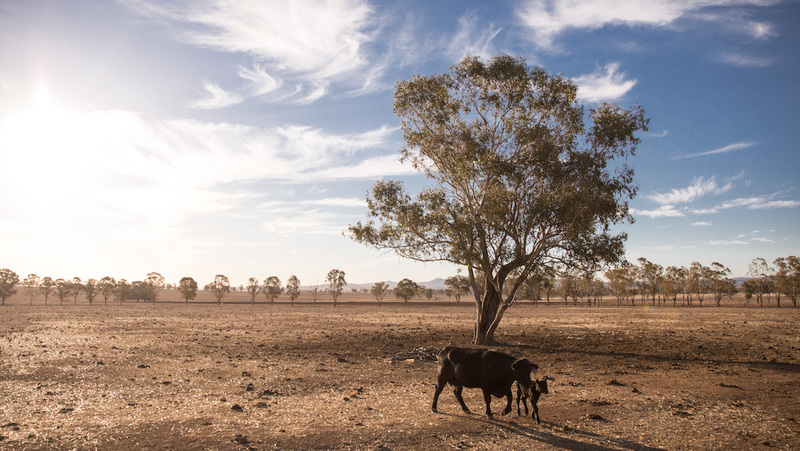 “Funds raised through the appeal will be distributed to drought-affected communities across Australia through partners working in these communities,” Borghetti said in a statement. Australian Red Cross chief executive Judy Slayter said farmers faced a hard road ahead coping with one of the worst droughts in the past century. “It has been wonderful to see so many Australians and businesses such as Virgin Australia dig in and help farmers and their families impacted by severe drought,” Slayter said. “We know this is a very difficult time for drought-impacted farmers, their families and regional communities across the country. Every day, we see first-hand how hard it is for people with ongoing financial and social responsibilities. The airlines’ efforts come after the federal governments announced cash payments of up to $12,000 per household, as well as more extra funding for counsellors and mental health support in response to the drought. VIDEO: A look at Qantas’s partnership with charity Rural Aid to support rural communities affected by the drought from the airline’s YouTube channel. In Australia, Lifeline (lifeline.org.au) offers a 24-hour crisis support and suicide prevention telephone service on 13 11 14. People battling depression and anxiety can also call Beyondblue (beyondblue.org.au) on 1300 224 636.